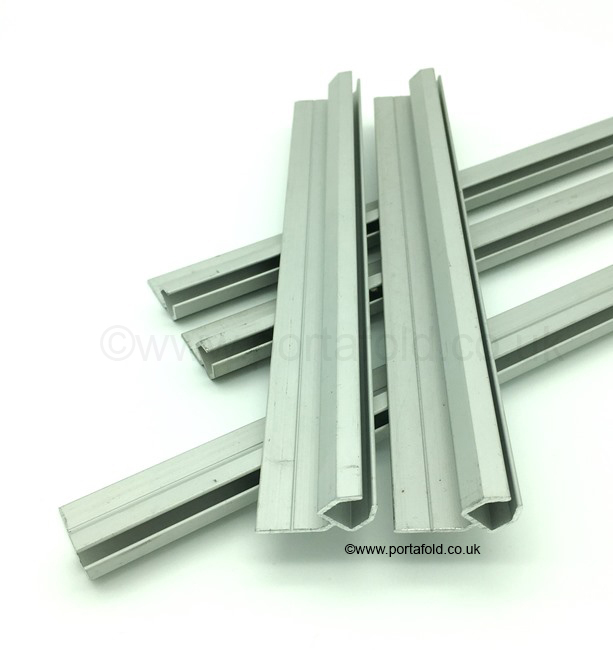 This a full set of five lengths of awning rail. There's one long length to attach to the roof, two medium lengths to attach to the end wall and two short sections to go on the lower part of the end wall. The top strip was originally bolted to the roof and the four side sections were riveted in place. They all come slightly over-length ready to be cut down with a hacksaw and un-drilled.